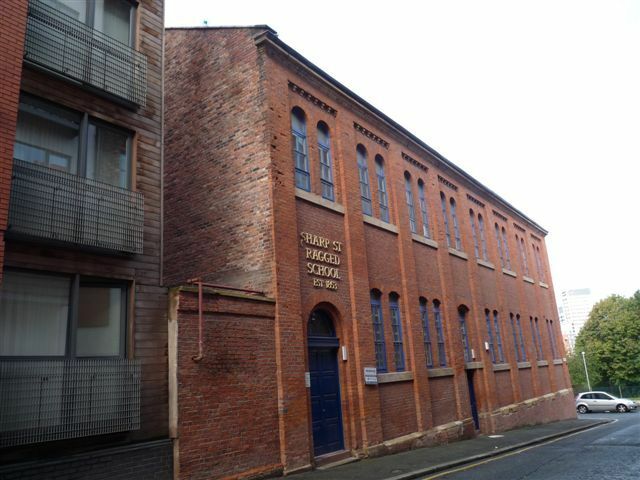 Ragged School, now mission, Sunday School and Boys' Club. Established 1853, rebuilt 1869. Red brick, slate roof. floor has coupled round-headed windows. The rear is similar.